Here is Death, as the Narrator speaking about the death of fourteen year old, Rudy Steiner. Some souls weigh heavy even on death’s conscience. A dying child’s soul is like that. In a world of 24 hours news and the information oscillating between insensitive and insane, some pictures hang about on our collective conscience. 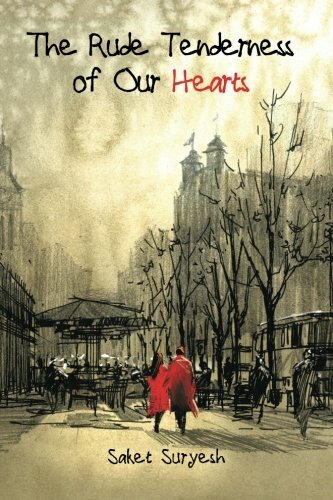 The hang like gray clouds hovering over our minds, tormenting our hearts, haunting our souls. The Book Thief (above) was written about the World War II. We would want to believe that the world has move far ahead in this time. Some events pull us up from our obnoxious slumber, wrench our heart and hits our head with hammer heavy enough to crush into powder the whole behemoth of mankind. These pictures, these events tell us that we haven’t progressed, a primitive, feral, unwavering funeral pyre keeps burning in the middle of the Earth which threatens to engulf us. What does a three-year dreams about? I always wonder about it. I used to ask my daughter when she was three year old. She would always tell me that she dreamt about Pink Giraffe who came to play with her in dreams. Same dream, same Giraffe, morning after morning, sometimes additional characters like a blue elephant or a yellow rabbit. A three-year old’s dreams are full of colors and imaginations and ah..hope. When I first looked at the now-viral picture of Aylan Kurdi, on the beach, in his red Tees and blue jeans, I was hit by this thought- What would little Aylan be dreaming a day before, or the day before that? Did he also dream of Pink Giraffes like any other three years old? He rests there, his face downwards on the sand, his head turned sideways as if he has put his ears to the ground. It seem as if he had heard the heavy steps of death walking to him, as the sea had sung him a lullaby in whispers which he has strained his ears to listen to and put him to an eternal. Some people indicate that why people did not raise, the world did not rise in anger when kids were killed in India or other places. Some gloat about the absurdity of the claim about the religion of peace, a veneer which peels off every day. I find the sadness too profound, a grief too sacred in that picture. It is a child, who like any other kid of three would have dreamt of Pink Giraffe, would have trusted his adults to offer him a world in which to nourish his hopes. We have failed him. Our religion has failed him. Our politics has failed him. He would have looked up and watched all those older adults, hoping they would protect him, they would offer him a world which will have space for him. The adults in the meantime went about bombing Palmyra. Death is not a competitive plank. A child’s death definitely not. It is not a political argument. I cannot stop grieving for a dead child of your religion since you did not grieve mine. We cannot be by-standers any more. It has gone beyond drama-driven media- focused, assassinations and bombing of the cultural heritage. The quest for oil, imaginary WMDs, crusade for democracy, balancing the global balance and a pre-delivery of Nobel prize is beside the point, as is pretense of non-alignment which served no one in the past and fools no one in the present. These are all big questions for big intellectuals to ponder upon. My limited point is to find answer to the little child in front of whose face buried in the beaches, we stand naked, failed global society. We may debate endlessly in the rights to practice religion freely and about the exact point of violence when religion ceases to become religion and stops speaking to God, of whatever faith He might belong. In the middle of all those intellectual debate, the death of Aiylan Kurdi tells us that we are back in those primitive days, unfortunately, now we have not only fire with us, we also have guns, mortars and the nuclear weapons. 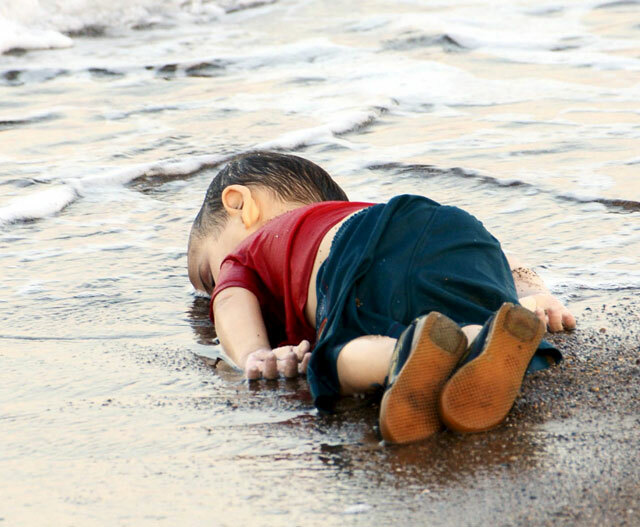 The 3 year old dead child, hears the waves, the cruel, heartless waves hitting their heads on the heartless shores of Turkey as the world calculates the cost of waging a full-blown war against the face of an ancient feral fury rising in middle-east using the weapons left with them ostensibly to save the world and promote democracy, and amid all this chaos, in face of callous silence asks the question- Where did all the Pink Giraffe go? Why these grown up people did not save them? What is with those black flags and white faces? What are they shouting hoarse about? Why the water doesn’t keep me afloat? Why the water gets into my eyes and ears and nose? Why my father doesn’t pull me out? He always did when I would dip myself in the bathing tub. Where are these waves taking me? Which shores? Do they have fanatics on that shore like the ones we are running away from? Why did Papa allow these fanatics grow so strong in his country? Is it God's will? Why God hates Pink Giraffes and Blue elephants? What kind of God it is? His voice dissolves in the salty waters but the questions of a dying child hang like noose around the collective conscience of global intellect. I feel ashamed in front of you, Aylan Kurdi, ashamed of the world that I had to offer you. I feel ashamed that we, as a world, left the hand of your father who desperately tried to hold you into it, who you trusted to protect your dreams. I wade through the hollowness of the terms like global leaders, most powerful nations- grand sounding hollow words, which could not afford to protect your life and others like you. I have no answer for complex economic cost of supporting a refugee (nor do I know the expense of creating a refugee), the biggest question which I am helplessly horrified about not having answer for is the question death posed in the novel I began this post with- who was there to soothe him when life's rug was pulled from under his drowning feet? I am sorry for not having enough land to rest your little feet.